September is going to be a wild card this year as we are on the back end of the driest water year that I can remember and while drought/water shortage is a real issue there is still going to be some good fishing this september. 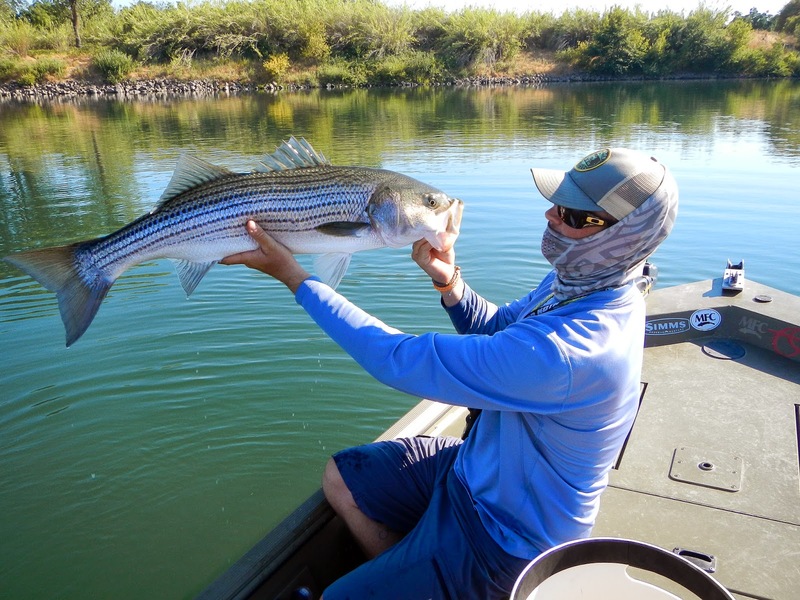 Stripers - Water temps remain in the mid 60's to Low 70's on the Lower Sac outside of chico and while flows are low fishing has remained fair to good on any given day. Lots of small fish with some nice mid size fish mixed in. On most days we are getting a shot at a "big" fish in the 10+lb category with a few in the 20+lb range. 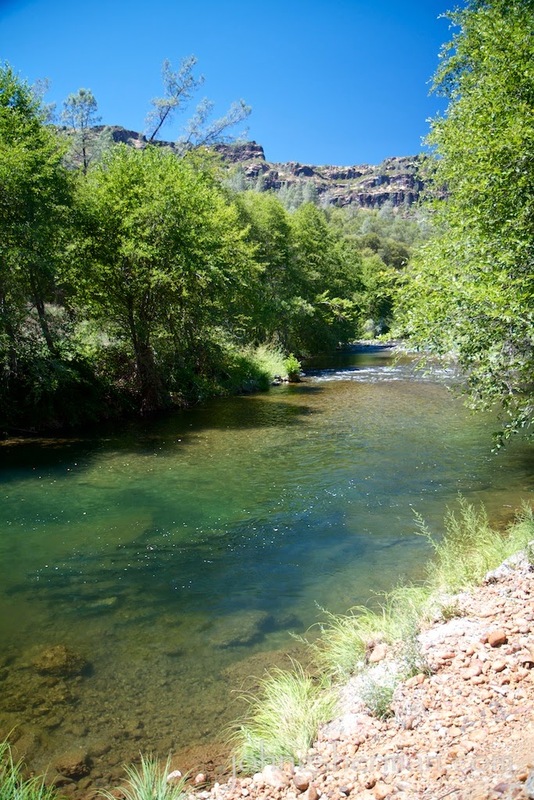 There is a healthy population of resident fish in the Sac and while numbers of fish are not always the reward there is a shot at some BIG fish. Lower Yuba River - Spent a day this weekend on the Lower Yuba and fishing was fair. Flows have dropped to 1200cfs and should drop again here shortly. I did see a pod of salmon moving up river in the lower river and a few stray fish shooting through the riffles in the upper river. We did catch a few nice fish in the 14-16" range on nymphs. Most of fish were caught on rubber legs, red copper johns, and birds nest. Nothing seemed to be the "hot fly" is seemed it was more about finding feeding fish. There were a few caddis fluttering around but only saw a few fish rise throughout the day and nothing constant, typical Yuba one and done fish. Fish seemed to be spread out in the shallows, holes, and runs...not much of a pattern as to where we caught fish. Seemed to be when the fish were hungary we caught them first pass through the run. Changing flies, weights, drops, etc didn't seem to matter. Traditionally the egg bite here starts the last week or two of september so plan accordingly. 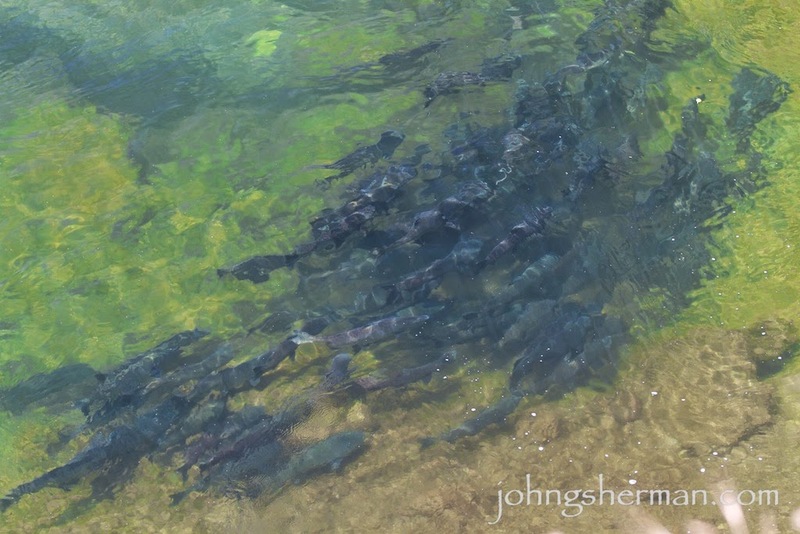 Lower Sac Trout and Steelhead - With warmer water temps in the Lower river the salmon are not holding up, they are shooting up river to find cooler water, moving what salmon are in the river into the upper reaches from Bend up. Trout fishing I have heard has been good and I imagine that with the warmer lower river water temps the steelhead are moving up river quickly as well. Late September and early October should be good this year but the word is the bulk of the salmon run is still hanging out in the ocean waiting for cooler water temps....maybe a two stage egg bite or just a late one this year. Flows are suppose to drop to 3500 as of Oct 1...this is really low but it is good that the flows are dropping early to avoid dewatering salmon reds like last year. Summer is still going strong but it is time to plan for the fall. This fall I will guiding the Lower Yuba, Lower Feather, and Lower Sacramento Rivers, along with Butte Creek this winter given we get some rain. October - Jan offers great fall/winter trout and steelhead fishing on all the valley rivers. Available dates are listed below. Look them over and book early as dates are already filling up. 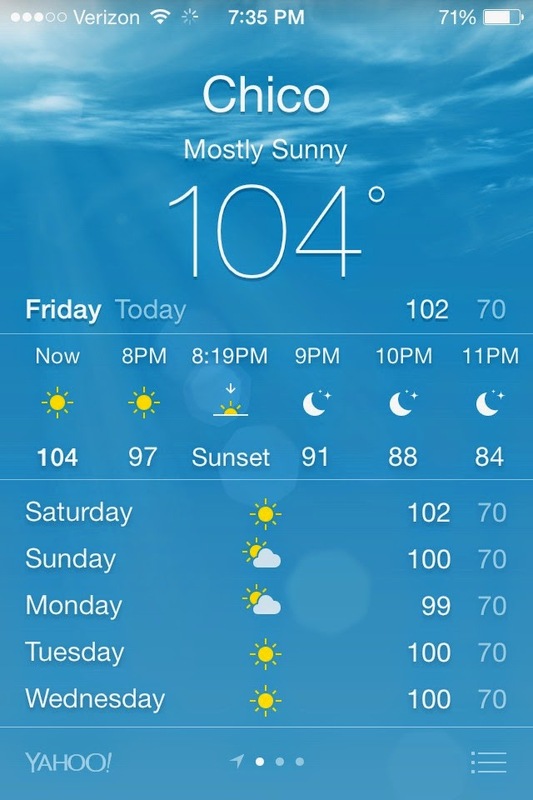 So it is HOT out…like really hot out and there is no relief in sight. I personally don’t mind the heat but it does affect the fish that I like to chase at times. I apologize for the lack of posts but between fishing, guiding, and vacationing time has been thin…So here is a catch up. 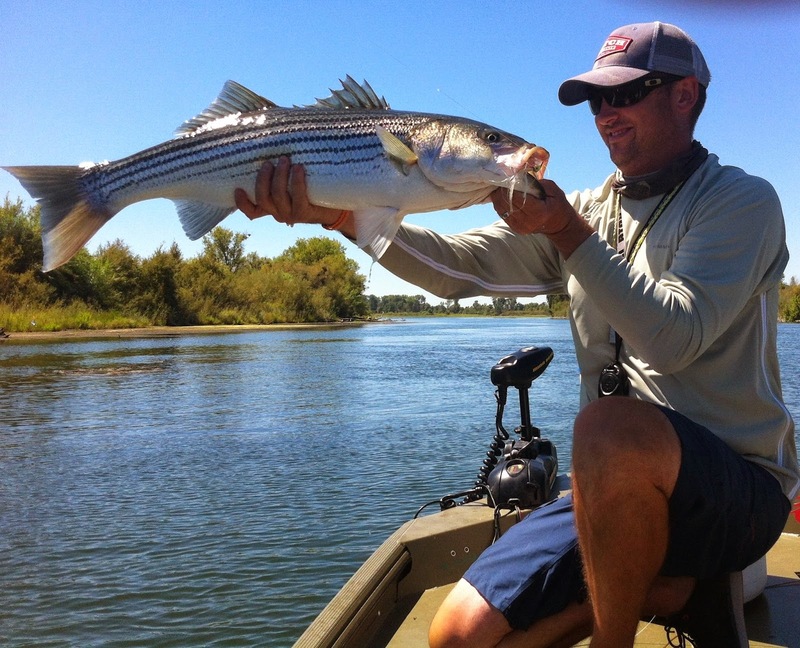 Most of my time has been spent guiding on the Lower Sac for Stripers…Fishing has been hit and miss as the bigger fish seem to have gotten a bit lethargic with the heat. The last few days it has been tough to get the big fish to eat. I have seen them and found them up on the flats but getting them to eat has been tough. Earlier this week we hooked a few big fish and lost them but the last few days have been mainly shaker and small schoolie fish and the only thing different is the heat…that said stripers are weird and can shut down and turn on day to day. Boat traffic has been pretty minimal as salmon fishing from what I have seen and heard is TERRIBLE outside of chico, ca as most fish are just blasting up river to find cooler water. Hopefully we will get some relief from the heat soon and fishing will pick up again. 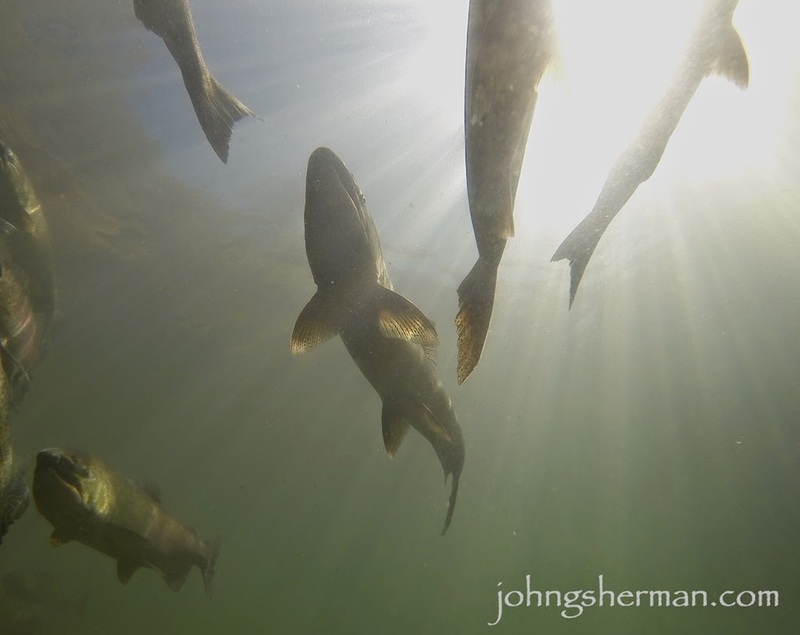 Lower Yuba River – I guided the Lower Yuba river one day this last week and fishing was fair. We got smaller fish in the morning around the top of the float and found some bigger fish mid float to lower in the float. Most fish came on rubber legs and small mayfly nymphs. I didn’t see one fish rise or any hoppers around either. I imagine if one is willing to stay out past sunset there might be a caddis hatch or small PED hatch. The flows are good around 1500cfs and should remain this way until September. Lower Sacramento Trout – I guided Barge to Bend one day as well this last week and fishing was good in the morning but the bite got tough during the heat of the day. Most fish came on rubber legs and natural birds nests along with a new caddis pattern I am working on. Tried fishing Fox Poopa, Amber wing Princes, and a few smaller stone fly patterns with no luck. So, I totally dropped the ball on taking notes on every time I drank one of the beers from the Beer Camp Sampler…Bottom line on this was that most every beer in the 12 beer sampler was good…some were really good but none of them were beers I wouldn’t at least buy a 6 pack of. The newest beer outside of the beer camp 12 pack I have had is the Harvest Ale Single Hop IPA - Equinox Hops, the 3rd beer in the Harvest Ale Series…pretty good beer not my favorite so far of the Harvest Series but pretty good. Also in other beer news the Flipside Red IPA is out but I have not had this years batch yet. Next stop at the store and I will pick some up. The Giants… So they have won two in row after today…they got swept by the dodgers and played terrible against the Pirates. We are struggling, Cain needs surgery, we need a second basemen, we can’t hit…you name it. That said I am a fan and we are still a contender at this point.